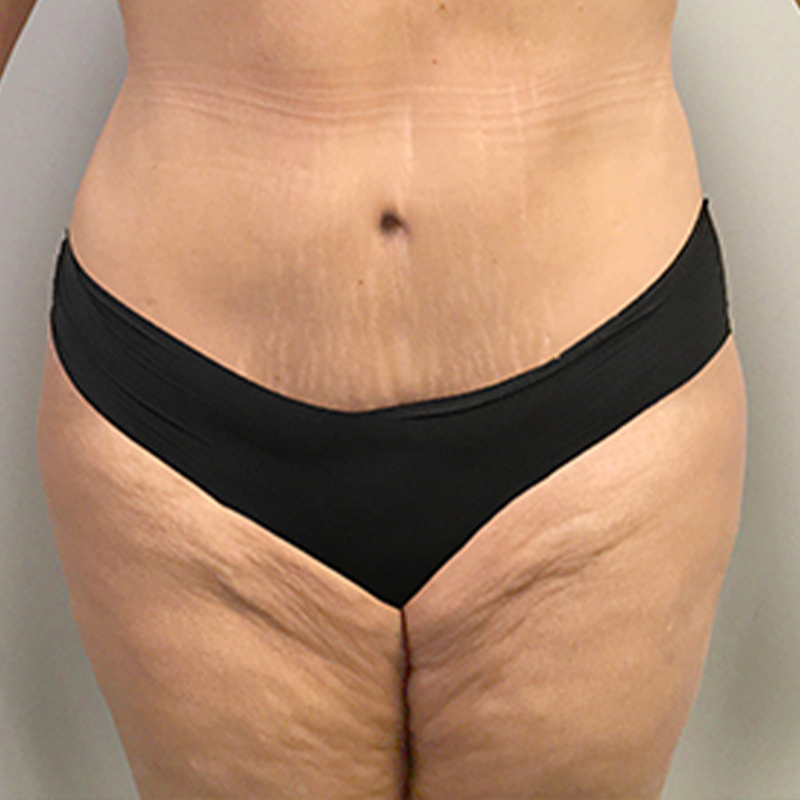 43 year old Hispanic female desired a flatter abdomen and a narrower waste. She had a history of 5 pregnancies and wanted the extra fat and skin removed. During her consultation with Dr. Sajan she was noted to have a large separation of her abdominal muscles. She underwent tummy tuck, liposuction of her waist, and muscle plication(repair of the separation of her abdominal muscles. She loves her new size and the fit of her new clothes now!